If you are looking for the perfect plaque to recognize the best jazz ensemble at your next competition, the Holographic Duo Jazz Dance Plaques are for you! These 5x7 awards are made of simulated wood and colored black. 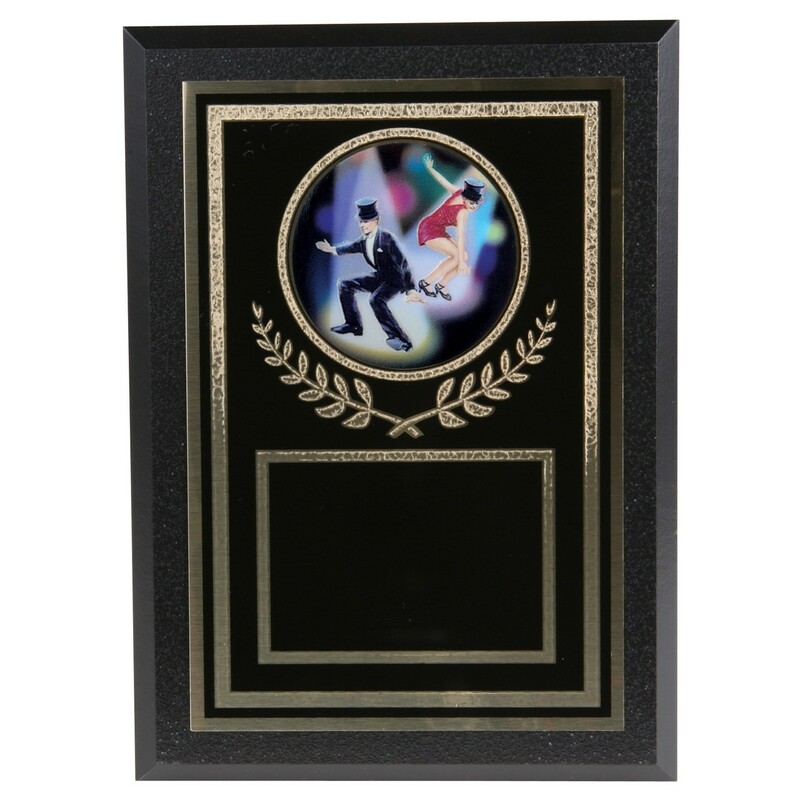 A black brass plate features golden borders and a colorful holographic mylar depicting a dancing duo. Add free custom engraving and order today!